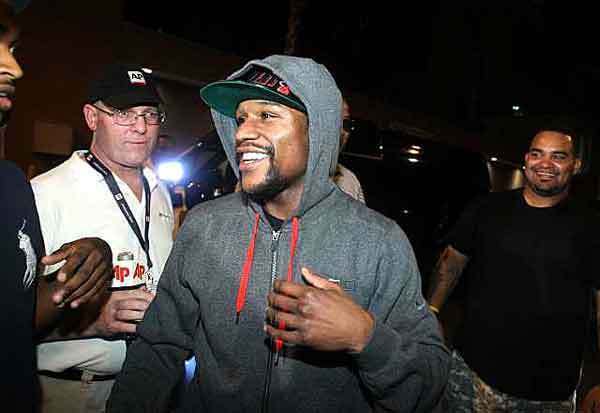 Mayweather was released short of his 90-day sentence due to Good behavior and recent jail overcrowding. Mayweather, didn’t speak to reporters after leaving the Clark County Detention Center, where he was greeted by one of his daughters and rapper 50 Cent, among others. Mayweather, 35, went to jail June 1 after Clark County Justice of the Peace Melissa Saragosa allowed him to delay his term to fight Miguel Cotto in a world super-welterweight title bout May 5 in Las Vegas. ← Chavis Carter Dies From Fatal Shot to the Head ..While handcuffed In Police Custody in Arkasas!